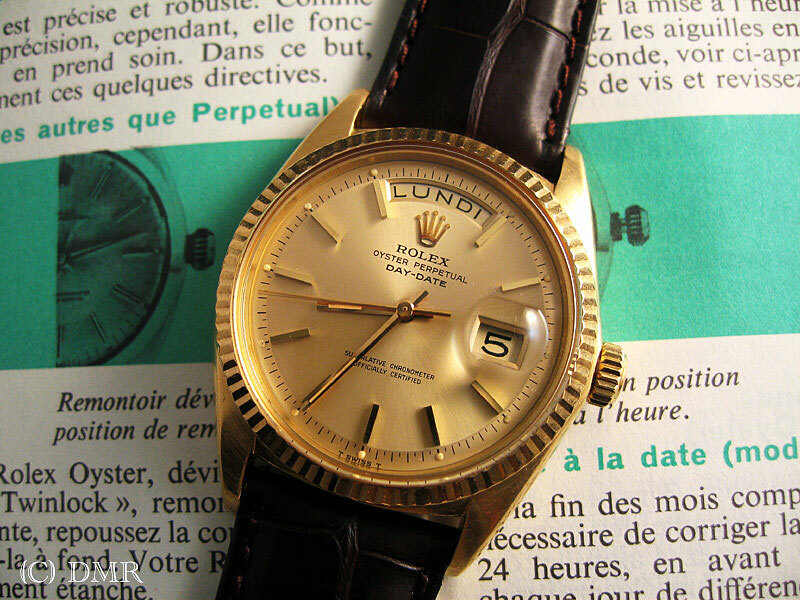 Marko owns this beautiful 1967 Reference 1803 Rolex Day-Date sold in 1976 with blank papers. Marko is from Europe and this Day-Date has a Day of the week Dial in French. Lundi translates to Monday. I believe Rolex offers the Day of the week dial indicator in 26 different languages.